Spyware Doctor is one of the best anti-spyware tools available and received many awards. Spyware doctor is also included in Google Pack. 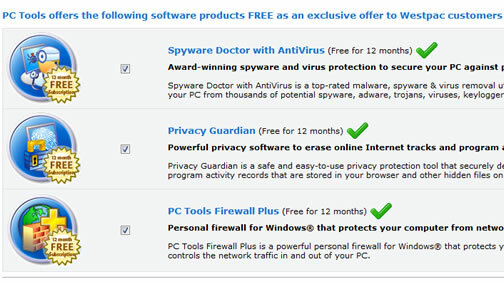 You can get the latest spyware doctor with antivirus for one year for free. Westpac bank is offering a promotion using which you can get free 12 months license key for spyware doctor with antivirus, Privacy guardian and PC Tools Firewall Plus. SPyware doctor detects and removes malicious software and removes spyware. Privacy Guardian helps you to protect your privacy by ensuring all traces of online activities are erased and unrecoverable on your PC. PC Tools Firewall Plus is a powerful personal firewall that helps protect your computer. To get the license key go to westpac promotion page and click on the links, you will be redirected to PC Tools website. 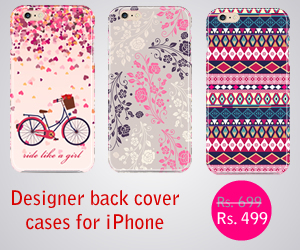 Fill out the details, and submit the form, you will receive the confirmation mail. Remember to use valid email. You just only need to register once and you will get all three software. Click the link in the verification email, immediately you will get the license keys for all the above mentioned software along with download links. You will also receive all the keys in email. whats this? i need the key not the software? any 1 can help me? The promotion has ended now! Am I reading that right It’s asking for a purchase? kindly send me free 1 year lwcense key.Iwas down loaded spyware doctor antivirus and installed in my lap top.It is very good. if somebody can help me finding the key of spyware doctor product version 6. Is there anyway I could get this key? please need key, not software. Can someone give me one, it would be very much appreciated. Can someone give me a key, not the software, please? It would be very much appreciated. Quero uma licença ou serial para spyware doctor. I want a license key or serial to spyware doctor for one year. I will thanks you when I get it. No longer provides free key for Spyware Doctor, now only Internet Security. Code provided DOES NOT work on spyware doctor any longer! pleasse send me a free license send it to chao_dizon@yahoo.com please i need it,..
i downloaded spyware doctor on my laptop.i need one license key plz mail it to me..
Hi my name is sebastian Im from Costa Rica and I need to someone send me to my email address the name and license of spyware doctor with antivirus version 6.0 if someone have the key please help me! My email is sebastian_gutiereezv08@hotmail.com please someone who has the key send it I will apreciate it ! plz send me a spyware licence key…. i want spyware doctor upgrade license key. please send me. KINDLY SEND FREE 1 YEAR LICENSE KEY OF SPYWARE DOCTOR ANTIVIRUS..
I’ll appreciate it if you can send me the license key. to anyone who can get me a free licences of spy-ware-removal doctor….I would be appreciate it. Hello, can someone please,please send me the license key for spyware doctor. I have 323 infections. plz send me the key of spyware doctor on my email id sheikhjunaid53@yahoo.com as my pc has almost made me mad’it is so severly affected that it is too difficult to explain you people.plz help me out and send me d key as soon as possible. can anyone in here please help me with a neme and key for spyware doctor. pls..pls.. i really need help. i will really appreciated your help or advice. my email is ,, mkbh123@yahoo.com..
please give me license for spyware doctor with antivirus,my email is:seriozi_21_pz@hotmail.com.thanx..
hello guyz i got da key for spyware doctor after searching alot …! n those who realy needs it (key) thy shud contct me by mah yahoo ..
its working ..try it..copy paste it..
hey guys. Because i found some licenses here i’ll give my past license. hope it’ll work.